A friend of mine gave me a really lovely plant about a year ago. Unlike many plants I’ve owned, I watered it, and it didn’t die. Quite the opposite. It grew. I didn’t realize how much until I was moving into a new location recently, and one big, long branch of the plant, which had grown against the window, broke right off when I pulled it away from its support. Half the plant was gone. The flowering half. 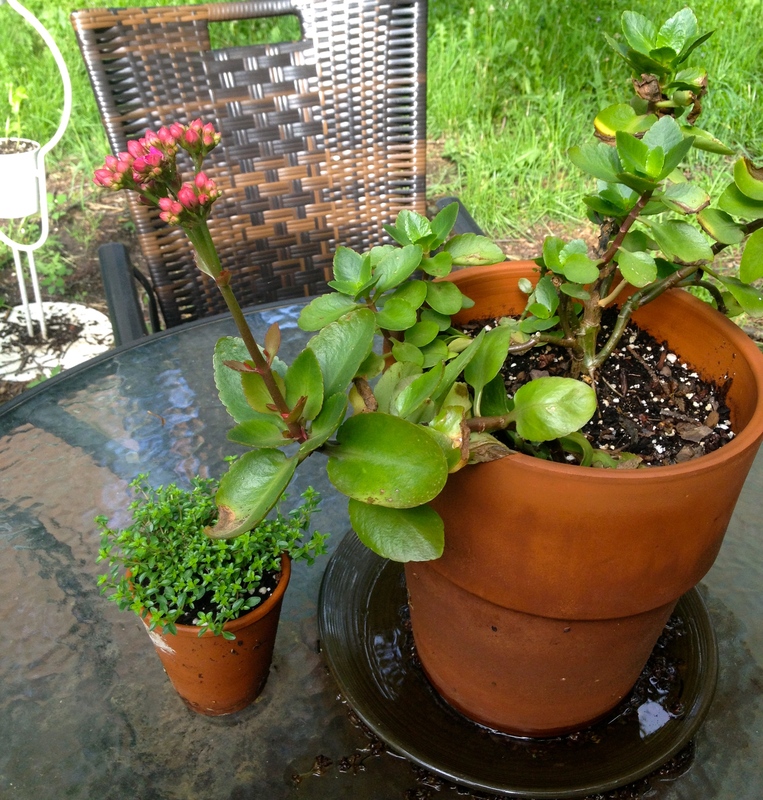 Old plant on the right; new(ish) plant on the left. All plants pictured are subject to eventual death at my hands. Maybe this is a normal thing to do for plants. I don’t know. To the misfortunate of the many plants I own, I know close to nothing about botany. But I thought it was a silly thing to try, sticking a broken branch in the pot, pretending like that’s how things grow. But it did. It took me a few weeks to realize that it wasn’t just that the plant hadn’t died, it was growing. And now, it’s about to bloom. It made me think of all the times I have or haven’t given a last ditch effort on something, whether it’s stalking a story source or meeting a deadline or anything else that just doesn’t seem to be working out. There always comes to a point where there’s that last thing to try, and sometimes it seems ridiculous, and sometimes it doesn’t work. But sometimes it does. And there’s no way to know without trying it.